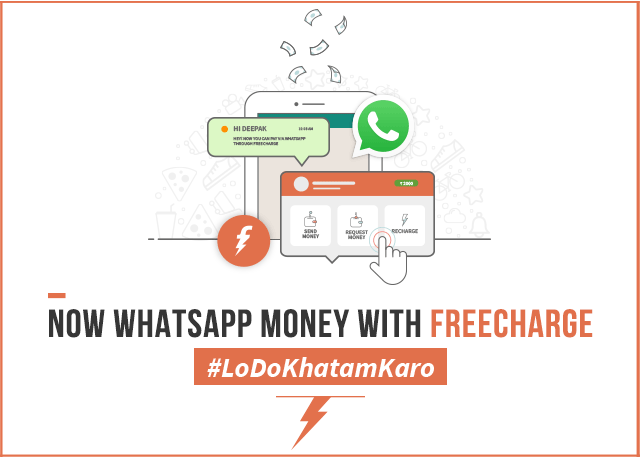 Digital payment platform FreeCharge has partnered with instant messaging app WhatsApp to make it easier for users to send and receive money. The new ‘Chat n Pay’ feature will be available to FreeCharge users through WhatsApp’s accessibility settings. Open FreeCharge mobile app and open the FreeCharge menu by swiping from left to right. Tap on “FreeCharge on WhatsApp”. Now tap enables to grant accessibility permission to FreeCharge app. That’s it, you are done with the setup. ‘AMOUNT in Rs.FC. For instance, if you want to transfer Rs. 100 to your friend then send him/her ‘100FC’ as the message. The moment you press the send button, a FreeCharge window will pop-up asking whether you want to send or receive money. Just select the appropriate option. Presently, the feature is only available in FreeCharge’s Android app. All that is required is that both the parties should be using FreeCharge, and the sender (or the initiator) should have enabled “FreeCharge on WhatsApp”. The company, however, has made it clear that its ‘Chat n Pay’ feature is not affiliated to WhatsApp, which means it is only using the messaging service as a medium to let its users transfer money to each other. [su_box title=”More From DSIM” box_color=”#c7c7c7″ title_color=”#000000″ radius=”5″]1) STARTUP: How this fitness app Fitpass has inspired the bunch of people to do workout with lower cost and higher flexibility?